The Giant Pumpkin in lights on Santa Monica Ave.
Somewhere on Santa Monica Avenue in north OB, the Giant Pumpkin Lives! 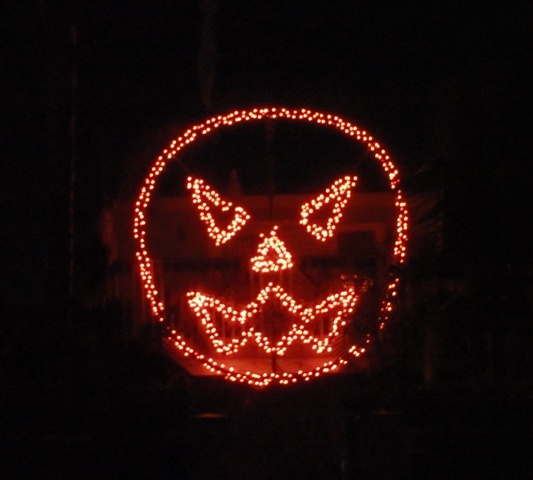 In an amazing display of artistry with lights, the huge pumpkin takes up the front side of a house. OBceans are making Halloween a lit-up “holiday” – and are stringing up (usually) orange lights and digging up front yards to make graves -as new polls show adults are taking over the night of ghosts and spending goblins of cash. 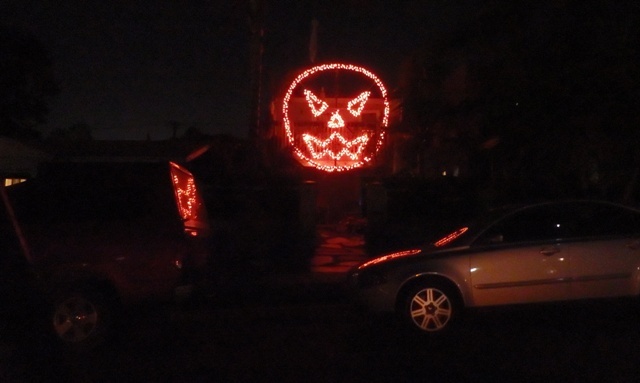 Do you have a neighbor with awesome Halloween lights? Let us know and we’ll do a drive-by – or simply send it in to us at obragblog@gmail.com .